BMW was excited to announce at the end of July that announced they will be the first manufacturer to bring the EnLighten App by Connect Signals into their vehicles! If you want to know more about this app and integration into the BMW vehicles keep reading! The EnLighten App is a new app available to drivers with an IOS device. With this app they can anticipate when traffic lights will change which can make driving through the city so much easier. Drivers will know when the lights are changing, which will in turn increase safety since drivers will be prepared for what’s to come as well as save gas by using less unnecessary acceleration. The app tracks driver’s route and shows the light in real time and provides a countdown to when the light will change. Based on the speed of the vehicle the app will offer a suggestion as to whether the driver should slow down to stop at the light or proceed through. All changes in the approaching traffic light are relayed to the driver through an audio alert. The app depends on the city to have an integration network of smart traffic signals. Cities currently equipped are Portland, OR, Eugene, OR and Salt Lake City, UT which totals more than 2,000 lights. It is anticipated that more cities will follow as the app and technology grows. 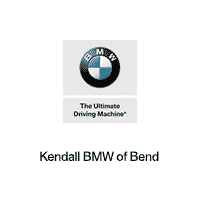 BMW of Bend is proud of the work BMW continues to do in order to advance new technologies. To check out some of these technologies in action stop by our Tumalo area dealership. Our sales representatives will show you the new and pre-owned BMW vehicles we have available. See you soon!